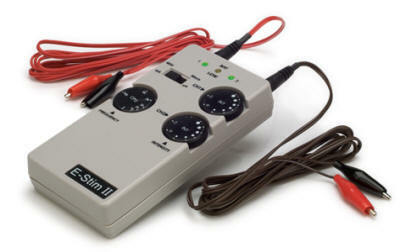 This is the most economical and easy to use portable electro-acupuncture unit. New dual channel, portable, continuous frequency unit features milli-amp and micro-amp settings. Each channel also includes its own LED light, which displays power on and frequency. Accessories include 2 sets of clip wires, 9-volt battery and instructions.